Many people choose Western Europe as their destination when planning their vacation. Though it certainly offers much of the contemporary and quaint cultures and stunning nature, there are other places worth visiting for the same reasons, but for a cheaper price. 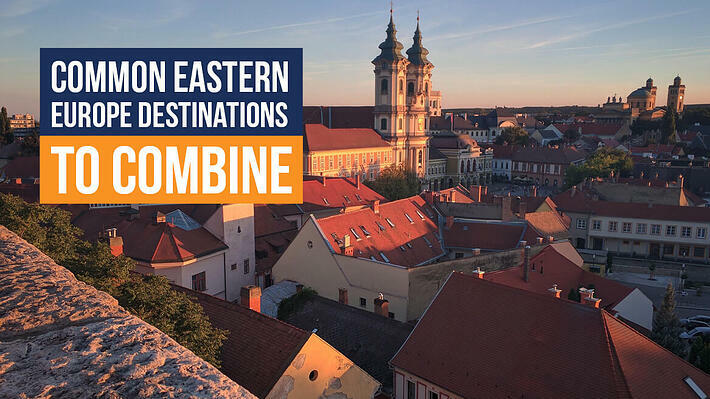 If you are looking for tours that are less popular but do have lots to offer, an Eastern Europe tour might be a choice with lots of surprises. Many historical sites, beautiful nature and diverse culture are mesmerizing more and more tourists each year. To see the most of it and enjoy as much as possible, here are the top destination combinations that will ensure a memorable experience. The first combination includes an Eastern Europe trio tour to Warsaw, Berlin and Prague. Whether you choose the bus or train to commute from one city to another, you’ll have an amazing, panoramic view of the country and cities. Once you reach your desired destination, you’ll have no time to waste. Each of these cities offers so many places worth seeing, but the an organized trip will allow you to get the most of this trio.. To help you out with making the right choice, here are the lists of a must see places in each of these cities. It is one of the most dynamic metropolitan cities in Europe. Its diverse architecture reflects the city’s long, yet turbulent history: from Gothic churches and neoclassical palaces to communist concrete and modern skyscrapers, glass and steel. The city’s landmarks, neighborhoods and museums tell the story of its tumultuous past, from Chopin to World War II and the tragedy of the Jewish ghetto. When the tourists come to Warsaw, there are several places that are never left unseen. The famous Royal Route, from Castle Square to Lazienki Park and Palace (Poland’s last king summer residence) is a well-known sightseeing spot; it is one of the most beautiful and the largest parks in Warsaw with one of the loveliest palace locations in Europe. Another site that deserves attention is the Palace of Science and Culture. It is a center of various cultural activities that include cinema, theater, concerts, libraries, universities, sport clubs, scientific institutions, and a center of many other public institutions and various companies. To enrich your tour to Warsaw, do not miss the Saxon Gardens, Tomb of the Unknown Soldier, Monument to the Heroes of the Warsaw Ghetto and the Barbarian. A walking tour through the Old Town, Old Market Square and St. John’s Cathedral will leave you in astonishment. After rich day tours, Warsaw offers some great restaurants and clubs to enjoy your evenings with friends and try local cuisine. Leaving Warsaw doesn’t have to be bewildering, especially if you’re headed to Berlin- a mesmerizing city with numerous opportunities to explore its cutting-edge architecture, vibrant culture, tangible history, mouthwatering food and fabulous parties. Its rich history left marks, seen wherever you go; it is like a 3D textbook where the past is presented everywhere. It was a stage of revolution, a home to Nazis, bombed, divided and reunited again in just one century. The remains of the Berlin Wall, Prussian Palace, Schiller Theater, Kaiser Wilhelm Memorial Church and many more will make your stay in Berlin one of the best you’ve ever had- truly mesmerizing and enriching experience. A must see is also the Renaissance building, Reichstag, which was once a house of Germany’s Parliament and Schloss Charlottenburg. If you’re looking to have some great fun in the nighttime, Berlin is well-known as a city that never sleeps. No matter the age, budget or taste, the city has a lot to offer- small basement clubs, techno temples, beer gardens, cocktail caverns and many more. One of the most beautiful and attractive cities in Europe, Prague is the most favorite travel destination for beer lovers. Those who love art must put this city on their wish list. Its art galleries offer fascinating collection of surrealist works of the 20th century, Gothic altarpieces in the Convent of St Agnes, constructivists and cubists in the Veletržní Palác. It has a smorgasbord of architecture, from Gothic and baroque to art nouveau elegance and its cubist facades is breathtaking. Stunning gardens, ancient chapels, old-fashioned bars and modern cafes are great spots to visit. The most popular sites in Prague include famous Wenceslas Square, the Strahov Stadium and Castle Square. Royal Castle of Hradcany with Cathedral of Saint Vitus is a must, as well as the Old Royal Palace, St. George’s Basilica, Golden Lane with Daliborka Tower, Jewish Ghetto and the world famous Astronomical Clock. Apart from this famous trio tour, tourist can enrich their Eastern European journey by adding one more city to get an exclusive tour, Poznan. Located in western Poland, Poznan is famous for its universities and old town with Renaissance buildings in Old Market Square. Poznan is of historical significance as the beginnings of Poland’s nation start right at this place. Tourists are stunned by the beauty of the monuments from different eras; the city hall at the Old Market Square, featuring the town’s famous Billy goat, is a great example of the Renaissance period, former Jesuit College and Fara church date back to the Baroque era. Museums, restaurants, clubs and pubs are buzzing throughout the day and continue to late at night. Many students, tourists and business travelers give this town a great vibe.